When it comes to sunshine – what states do you think of at first? California? Florida? Hawaii? New Mexico? Texas? How about Massachusetts? If Massachusetts is not one of the first states you think of when it comes to sunshine, think again. And if you’ve ever thought of harvesting energy from the sun and you’re a New England resident, keep reading! While Massachusetts does not have the highest sun statistics over the entire nation, their solar energy statistics are pretty impressive. And considering there’s more sunny days than not (opposite from some places, like Seattle), if you live in Massachusetts, you could be rolling in some serious energy savings from the sun above. On average, Massachusetts experiences 201 days with full or partial sun a year – that’s 55% of the year under sunny skies! And the average sun hours per day (that’s where you’ll really peak in harvesting energy from the sun) is about 4.5 hours. Of course, this will vary by the season (i.e., your longer summer days will generate more sun hours than your shorter winter days). That means during a given year, you’ll be able to harvest about 905 sun hours to generate electricity. Not too shabby! Living in New England, you’re probably already aware that the cost of things is pretty expensive up north (as compared to your more Southern neighbors and those to the West). 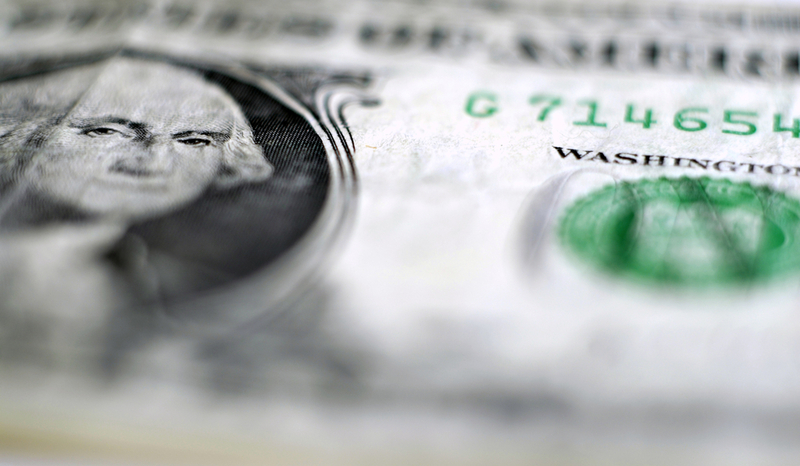 One thing’s for sure – your electricity bill isn’t getting any cheaper – especially during those long, cold winters. How much do you think you could save per year if you relied on the sun to power your home or business? Here’s one pretty influential statement about solar energy. The cost to install a solar energy system in your home is dropping fast (nearly a 50% drop in price since 2009! ), but the cost of energy, in general, is going up across the nation. What better time to take advantage of going solar than now? And the fact that most prices of a solar energy system pale in comparison to the cost of college, a new car, and other “major” life purchases makes it even more attractive. The average home usually needs a 5kW solar energy system to power the home. Prices at the end of 2016 for a 5kW system in the Bay State averaged about $25, 000. But! That’s before federal, state, and local incentives were applied to the cost. You want the even better news? 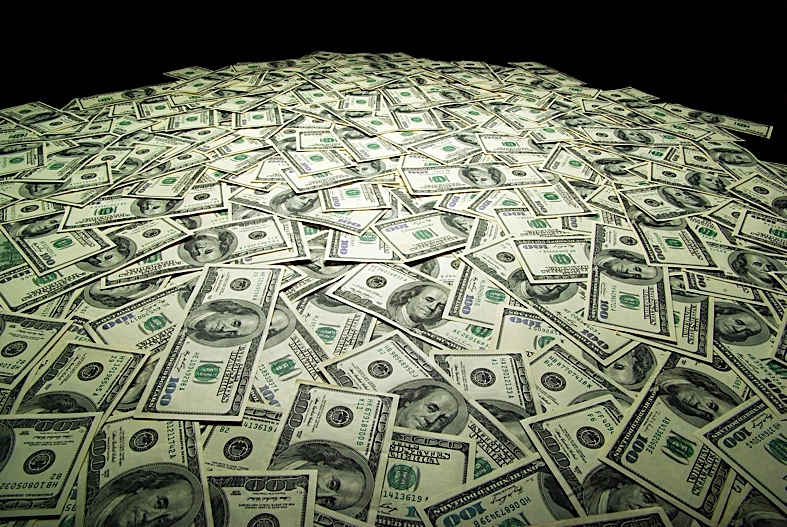 The net profit you make from your solar energy system is nearly $40,000 over a 20-year period. That’s $40,000 additional dollars in your pocket of pure profit (and that you’re not shelling out to the energy company to get your power from the grid). Not to mention the nearly $20,000 it’ll add to the value of your home. And, when we’re breaking it down by month, you’ll likely save about $1,800 in the first year alone! Life’s expensive though. And while $20,000 is still less than the average price of a new car, college tuition, daycare, and a whole bunch of other costs, it’s still a hefty price. And, one that you’ll likely be paying in addition to college, car payments, and that new baby. 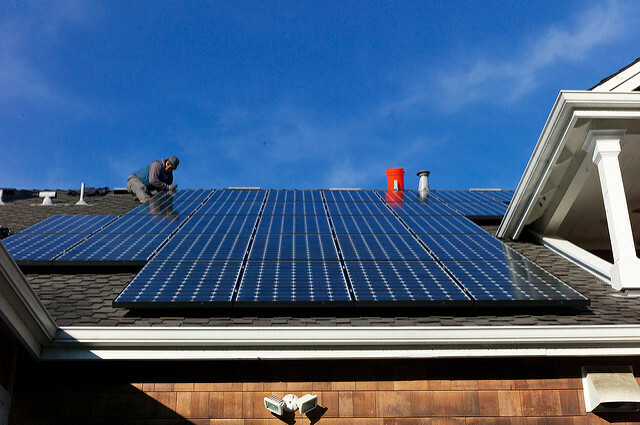 So, how do some of your fellow Massachusetts neighbors pay for their solar energy system? Solar loans are one very popular way many Massachusetts residents are paying for their solar systems. 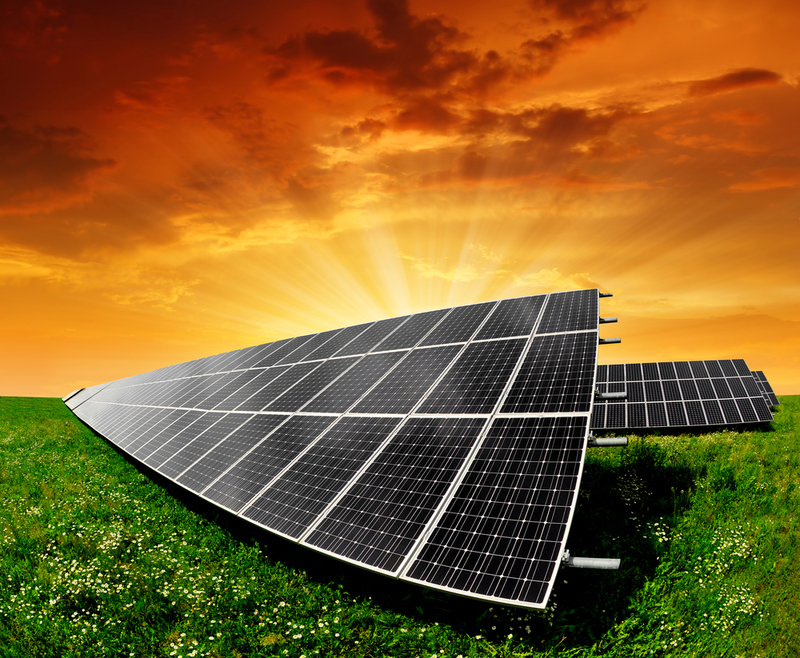 The Massachusetts Department of Energy Resources (DOER) and the Massachusetts Clean Energy Center (MassCEC) established the Mass Solar Loan program exactly for this purpose. Providing residents with a list of local installers to choose from, if you pick an installer from that list, the banks and credit unions will work with you to get you a fantastic deal on a low interest, fixed rate solar loan to help you pay for your system. If you’re interested in getting the best deal and money for your system, solar loans are the way to go. However, if you are looking for a fast, no money down, way to quickly start saving on your monthly energy bills, solar leases are also wildly popular in the solar world. Sit down with your installer (make sure you shop around), your bank, and your home plans, to make sure you weigh the pros and cons of each approach. If you plan on owning your own solar energy system, there are a number of federal and state benefits that will help drive down the cost. First of all, the federal tax break is big and is helpful. Take the total cost of your solar energy system (installation included) and shave off 30% right off the top. That’s what the Residential Renewable Energy Tax Credit will do for you. But, you’ve got to act before December 31, 2019 – all systems must be installed and operational by that date to take advantage of this great tax break. 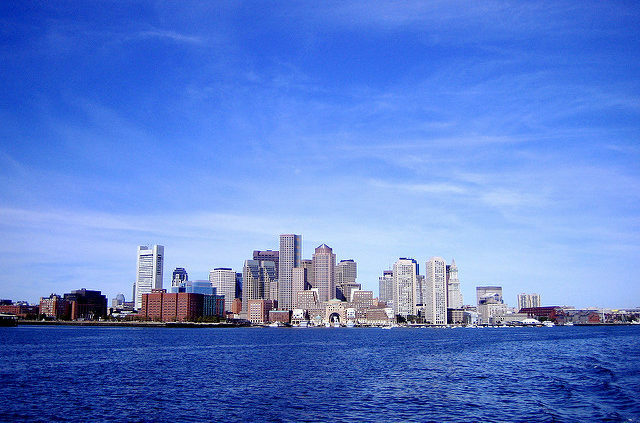 At the state level, Massachusetts gets an A in green-friendly solar legislation. The Massachusetts Clean Energy Center will provide you with an additional $1,250 off the cost of your installed system. And, there’s also a state level tax incentive of 15% for the cost of your solar energy system (though this price is capped at $1,000). 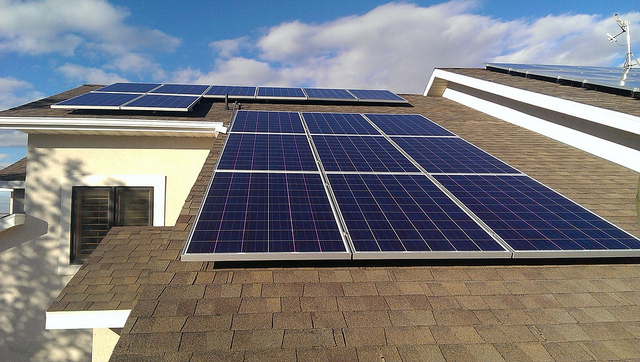 Then, there’s the Commonwealth Solar Rebate Program (“CSRP”) which will give you another rebate between $2,000 to $4,250 off the price of your system (there is a complicated rebate calculator that determines this price based off your income, the size of your system, and home’s value). And about that home value – there’s a state-wide exemption on getting taxed for the additional value added to your home for having a solar energy system installed. And that’s just the state level. When you get down to the local level – there are even more rebates and incentives you can apply to the cost of your solar energy system. Take a look at the Database of State Incentives for Renewables and Efficiencies to see the 113 policies and incentives across the entire state. So, you’ve decided on a solar energy system. Who do you call to install? Once you’ve gotten your list of potential installers, the key is to shop around. Even in the same city, prices could vary company by company – plus, one installer might offer something another one doesn’t. Listed below are some of the top companies in Massachusetts noted by Yelp. Sun Bug Solar – A full-service local solar energy company, Sun Bug Solar offers consultation, system design, financing options and high-quality turnkey installations in across Massachusetts. They specialize in residential, commercial, and non-profit installations. 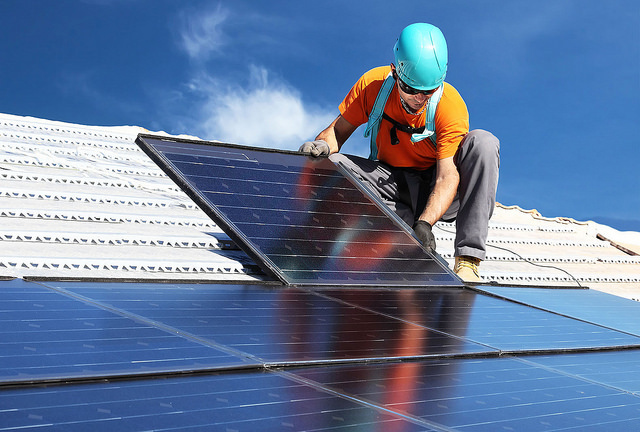 Boston Solar – Whether it’s a residential or commercial solar installation, Boston Solar has installed over 3,000 solar energy systems in just 5 years alone. And, they were recently rated as one of top solar contractors in the state of Massachusetts. Revolusun – Locally owned and operated, Revolusun is committed to the customer first and foremost, and provides cutting-edge solar technology that some of its competitors don’t have yet. Their mission? Provide smart solar technology at a fair price. Great Sky Solar – A local, worker-owned cooperative, Great Sky Solar’s team has a vested interest in the success of the company. And that’s why they promise the best customer service and the best solar energy installations. In side-by-side collaboration with the homeowner. They praise their transparent sales process and will go over multiple financing options to find what works best for you.